You’d have to be living in a hole to not have heard that Barneys New York is coming to Scottsdale this fall! That’s right, Barneys is coming to Scottsdale Fashion Square, right in that little corner where Robinson’s May used to be. This will be the first Barneys New York store to debut in Scottsdale (yippee!) so I no longer have to be majorly jealous when my good friend Kim calls me from Chicago raving about all the amazing dresses she picked up ’cause I’ll have a Barney’s of my own. In fact, next Thursday, January 29th, there will be a celebration ceremony starting at 9:30 a.m. as construction crews that are working on the final expansion at Scottsdale Fashion Square place the last structural beam. The beam will be painted white, adorned with an American flag and guests will have the opportunity to sign it. The new wing at Scottsdale Fashion Square took more than 2,700 tons of steel (most of which was recyled materials) and will house the new Barney’s as well as 100,000 square feet of retail space for even more high-end boutiques and restaurants. The first 200 guests to arrive will be the ones able to sign the beam. The expansion, which will include the first Barney’s Scottsdale store, is anticipated to be open to the public as soon as October 2009. Yeah! In the meantime, I can’t resist doing a little bit of online shopping so that, ya know, I can get a little taste of what’s to arrive. Also because, I thoroughly just can’t WAIT for Barneys at Scottsdale! 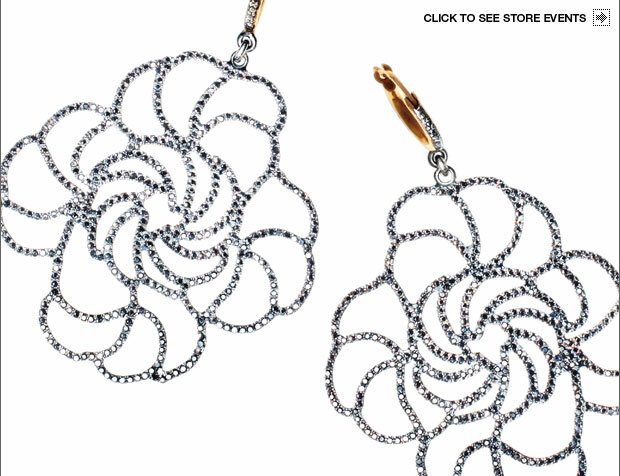 By then I’ll be able to take in the beauty of things like these earrings I spotted on their homepage which are absolutely gorgeous. Dazzling. Amazing. I want! 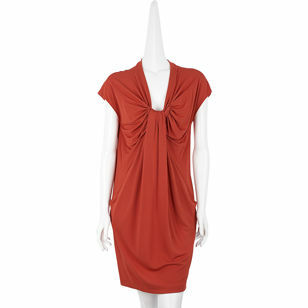 This David Szeto “tojours” dress so totally looks like me it’s insane. And oh, golly wow you know I’ll be living at Barney’s Co-Op next fall. This Marc by Marc Jacobs halter tank is super casual and cute. Sounds lovely Marlene, but what about shoes you say? Sure. I’m thinking this pair of Yves Saint Laurent wedges would coast me through the spring in style. This pair of Yves Saint Laurent sandals make me totally, totally swoon. And totally have my name written all over them. 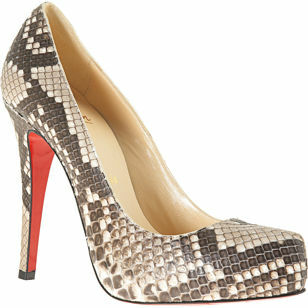 And just for good measure, let’s not overlook some Christian Louboutin’s. These python pumps are ultrasexy. As are this pair of Christian Louboutin “paquita” sandals. Yup, I can hardly wait for Barneys New York to come to Scottsdale! I am SOOO excited for Barney’s to open in Scottsdale! oh my gosh – i just heard Barneys was coming!!!! how exciting. when i got to NYC i always stop there, so i’m really happy to have a location here. Looooooove the Louboutins! I used to go to the Seattle Barney’s all the time, they actually have some pretty good sales. I got a pair of wide leg Citizens of Humanity jeans that were originally $200 for $70. Ahhhhhhhhhh my beloved. How I ‘heart’ thee. i NEED the YSL black sandals. NEED. I have been awaiting the arrival of Barney’s since the words were first echoed months ago. It has been a long time coming, but certainly worth the wait. Ahhhh…. my beloved Barney’s. Oh how I ‘heart’ thee. ooooooooooohhhhhh, i like the earrings! Ellie?!?! How could something so pretty scare you??? AAAUGGGHHHHH!!!! So excited! Those earings look so fun!!! I like the black shoes the best too – Ellie fear not, there’s always flats. Those earrings really are stunning, I wonder how heavy they are? Good – save the medium for me Dalia, I’ll need it for sure after Valentine’s Day. lol. Ok, Marlene – what’s your secret? Visa, Mastercard, Discover?!! Barneys is the best and so different from any other department store i have ever visited. I love Neiman and Saks but Barneys is so different in so many ways. Just moved hee from Chicago not long ago this was my favorite place to shop and so glad to hear the news that it will be here soon. Smart move on their part. Look forward to shopping in person and not online. So happy it is friday and Barneys is coming to Scottsdlae! I’ll take the Loubs, no matter how painful! A lot of people seem kind of scared of them because they have the most BEAUTIFUL things. But http://www.Barneys.com has some really awesome markdowns, too! They have some Loubs for cheaper than any other dept. store (marked down to about $399) and they carry brands you can’t find anywhere else. It seems uber high-end, but the items can actually be reasonable and the things I’ve gotten there last far longer than the other things I buy. I’d rather have one pair of pumps or a dress from BNY than 5 from other lower-end shops. I can’t get enough of The Row, which is sold at Barney’s- it’s SO high-end, and designed by the Olsen Twins! The higher the YSLs, the better!